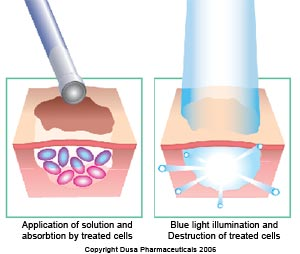 Photodynamic Therapy is a powerful treatment that uses blue light in combination with a light sensitizing cream, to treat skin conditions such as actnic keratosis (precancerous skin lesions) and acne. Tired of chasing sun damage? Photodynamic therapy is proactive approach to treating pre-cancers, making future skin cancers less likely.